Nice pics. The one with your doggie is so precious. 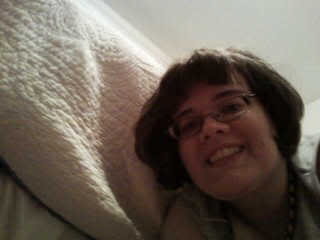 Here's pic of me. Took it all by myself. You have a beautiful smile, Buttercup! 4. a wind-driven, usually three-bladed, device that provides mechanical energy, as for driving an electric alternator in wind plants. Yep, both spellings are acceptable. Otherwise Gomer would've been shouting "Citizen's Arraaayust!" long ago. Thanks! I thought he had me. But I'll be gracious in victory. Gee, Rhonda, you don't look happy at all to have your boys there. These two photos are of myself and my friend Patrick, who I have known for fifteen years, the longest out of all of my friends. I don't remember when the first photo was taken, but we were probably about 5 or 6 then (I'm now 20 and Patrick is 19). 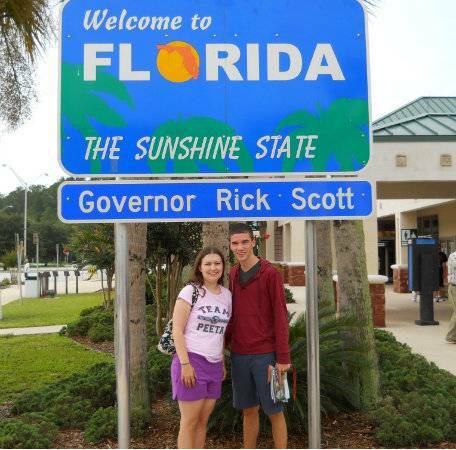 In the second photo, we're at the Florida welcome center in August 2012; we went on a road trip together down the east coast when Patrick went back to college in Florida at the end of the summer. Our road trip made me realize that we might not be as close friends as we used to be and we might not have a lot in common anymore, but Patrick is still an important person in my life. Very sweet. I especially love that photo when you two were younger. How cool! I have a pic of that same welcome center! Oh, how sweet! Those are great pictures! thank you the top photo is one of my favorites of both of us. and as you can see in the bottom one, Patrick is a few inches taller than me now. 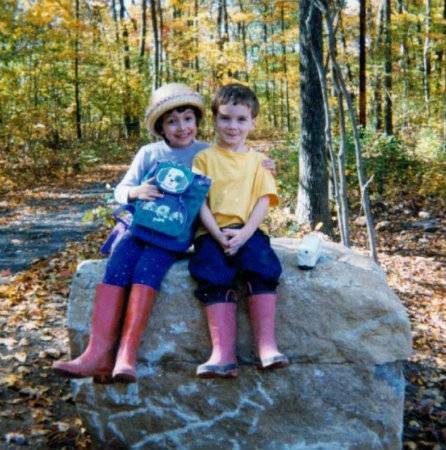 I used to be the tall one! That's so awesome, to have had a friend that long! Oh, I like your avatar too, is that you in it?